Photo by Anne E. Jones. Karen Maezen Miller on how the domestic practice of ancient Zen masters can lead us to intimate encounters with our own lives. In the fall, the broad canopy of giant sycamores in my backyard turns faintly yellow and the leaves sail down. First by ones, and then by tons. A part of every autumn day finds me fuming at the sight of falling leaves. Then, I pick up a rake. 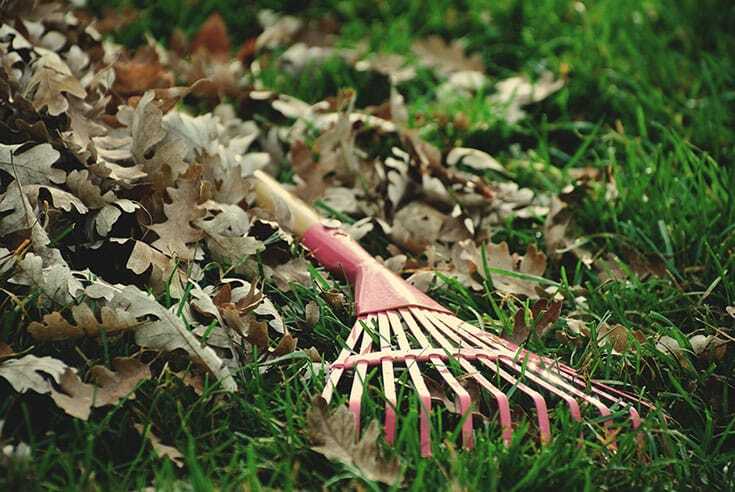 Tell me, while I’m sweeping leaves till kingdom come, is it getting in the way of my life? Is it interfering with my life? Keeping me from my life? Only my imaginary life, that life of what-ifs and how-comes: the life I’m dreaming of. 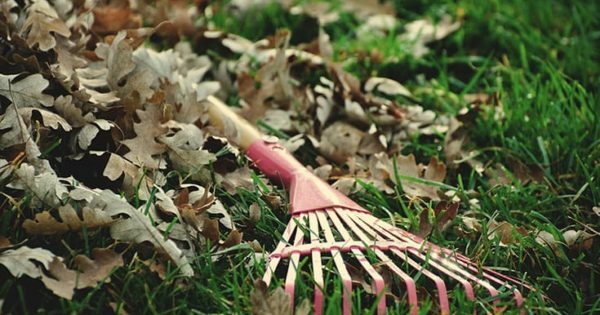 At the moment that I’m raking leaves, at the moment I’m doing anything, it is my life, it is all of time, and it is all of me. In the spring, the garden bursts to life and once again I see what time it is. It is time to weed. When I look up across the endless stretch of the job before me, I surely want to quit. But if I manage to regain my focus on what’s at hand I realize it’s just one weed. There’s always just one weed to do next. I do it weed by weed, and the weeds always show me how. I never finish. Looking for greater meaning in life, some people think that housework is beneath them. I know that feeling well. Looking for greater meaning in life, some people think that housework is beneath them. Cooking and cleaning are beneath them. I know that feeling well. Sometimes they seem so far beneath me that I can’t see the bottom. I can’t see the beginning or the end. Is there a point to doing the work that seems pointless? The work, with no visible end, no redeeming value, and no apparent urgency? Yes. It’s the wisdom of the ancient homemakers. After Buddhism came to China, the Chan school replaced the tradition of itinerant alms-begging with communal living. It was practical, for one thing. And it was practice. Monastic training came to encompass all the work essential to everyday life—cleaning, cooking, and gardening—as well as meditation. For that reason we could well view the great Chinese masters as our progenitors in mindful homemaking, since many of their teachings point directly to the everyday chores we might rather high-mindedly neglect. More than a thousand years have passed since Joshu gave that response, originating one of the many classic koans that recount his provocative teachings. To this day seekers are still struggling to find a way out of the shirt. What does it mean? What is he getting at? I don’t understand! We don’t just struggle with a shirt in a Zen koan. We struggle with the shirts in our hampers. With the pants, the blouses, the sheets, and the underwear. Laundry presents a mountainous practice opportunity because it provokes a never-ending pile of egocentric resistance. It’s not important to me. It’s tedious. I don’t like to do it! The monk in this story is like the rest of us, seeking wisdom through intellectual inquiry. The search for meaning robs our life of meaning, sending us back into our discursive minds while right in front of us the laundry piles up. If we’re not careful, this is how we approach mindfulness: as an idea, one we rather like, to elevate our lives with special contemplative consideration, a method for making smarter choices and thereby assuring better outcomes. The problem is that the life before us is the only life we have. The search for meaning robs our life of meaning, sending us back into our discursive minds while right in front of us the laundry piles up. The shirt, you see, is just a shirt. Feel the fabric, the weave, and the weight of seven pounds in your hands. The laundry is just the laundry. Pull it out of the hamper, sort by color and fabric, read the care instructions, and get on it with it. Transcending obstacles and overcoming preferences, we have an intimate encounter with our lives every time we do the wash. It’s nothing out of the ordinary, but no one turns their nose up at a clean pair of socks. 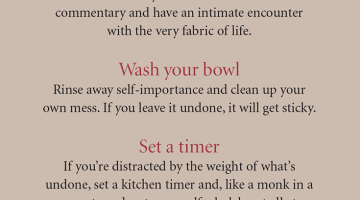 “10 Tips for a Mindful Home,” by Karen Maezen Miller. “With only a change in perspective, the most ordinary things take on inexpressible beauty. When we don’t know, we don’t judge. And when we don’t judge, we see things in a different light. That is the light of our awareness, unfiltered by intellectual understanding, rumination, or evaluation. When we cultivate nondistracted awareness as a formal practice, we call it meditation. When we cultivate it in our home life, we call it the laundry, the kitchen, or the yard—all the places and the ways to live mindfully by attending without distraction to whatever appears before us. But it’s hard for us to believe that attention is all there is to it, and so we complicate things with our judgment—debasing the ordinary as insignificant and idealizing the spiritual as unattainable—never seeing that the two are one. A monk said to Joshu, “I have just entered the monastery. Please teach me.” “Have you eaten your rice porridge?” asked Joshu. “Yes, I have,” replied the monk. “Then you had better wash your bowl,” said Joshu. This famous koan is easy to view as a metaphor. Empty your mind and get rid of your notions of spiritual attainment. But suppose you don’t view the bowl as a metaphor? That might change the way you look at the dishes in your kitchen sink and instruct you just as thoroughly. The kitchen is not only the heart of a home, it can also be the heart of a mindfulness practice. In cooking and cleaning, we move beyond ourselves and into compassionate care of everything and everyone around us. Eating is our sole essential consumption and cooking is our one common charity, so you’d think its purpose would be obvious. Yet with a critical eye to the value of time and what we judge to be our higher talents, meal preparation may seldom seem worth it. Cooking for two? Not worth it. Filling the fridge? Not worth it. Sitting to dine? Not worth it. Cleaning up after? Not worth it. In cooking and cleaning, we move beyond ourselves and into compassionate care of everything and everyone around us. Nothing is worth the measure we give it, because worth doesn’t really exist. It is a figment of our judging minds, an imaginary yardstick to measure the imaginary value of imaginary distinctions, and one more way we withhold ourselves from the whole enchilada of life that lies before us. If nothing is worth it, why cook? Why shop and chop, boil and toil and clean up after? To engage yourself in the marvel of your own being. To see the priceless in the worthless. To find complete fulfillment in being unfilled. And to eat something other than your own inflated self-importance. That’s what we empty when we empty the bowl, and a busy kitchen gives us the chance to empty ourselves many times a day. A monk asked Joshu, “What is the meaning of Bodhidharma’s coming to China?” Joshu said, “The oak tree in the garden.” Enough about laundry and dishes, you might be thinking, what about the deep spiritual questions? Why do the great mystics strive so diligently for enlightenment if it has no more depth than what’s found in ordinary housework? See beyond your house, Joshu answers, beyond the delusion of a separate self trapped by the false perception of what is inside and what is outside. This is true mindfulness: not the narrow boundaries of our conceptual abode, but the phenomenal world of the awakened mind. Joshu tells us to open our eyes and awaken in our own backyard. Where is the place you know as well as your own family? Indeed, that is as proximate as yourself? It is the place where you are at ease with a full load, fulfilled by an empty sink, telling time by the leaves and weeds: making yourself mindfully at home in the home you never leave. 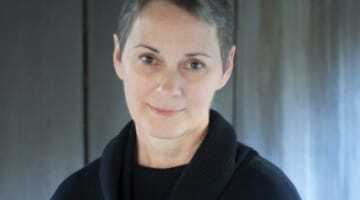 Karen Maezen Miller is a priest in the Soto Zen lineage of Taizan Maezumi Roshi and a student of Nyogen Yeo Roshi. In daily life, as mother to daughter Georgia and as a writer, she aims to resolve the enigmatic truth of Maezumi's teaching, "Your life is your practice." Miller is the author of Momma Zen: Walking the Crooked Path of Motherhood, and most recently, Paradise in Plain Sight: Lessons from a Zen Garden.